We ask that you are water confident when wearing a buoyancy aid and that you enjoy a challenge! 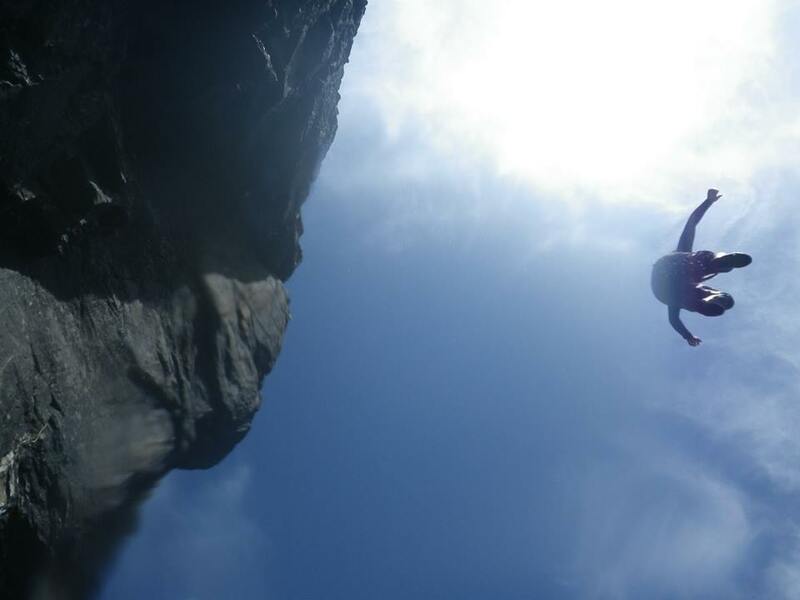 Our staff have considerable experience and have been involved in developing national guidelines for coasteering guides. We have an extensive range of equipment, from full steamer wetsuits, through to specialised footwear, helmets and buoyancy aids. We will ensure, that no matter what age you are, or level of experience you have, that we can show you what coasteering is all about!